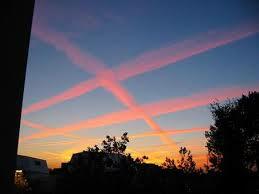 The toxic sky war on humans, animals and plants. Magnus Olsson estimates that already several million persons in Europe are actively “chipped and online” with nano-neurobots in their brains inhaled from chemtrails and now entrained to super-computers and HAARP. ​Approximately 80% of humanity has inactive nano-neurobots in their brains inhaled from chemtrails that can be activated and entrained to super-computers and HAARP in the covert program to “robotize” humans known as the Transhumanist Agenda. VANCOUVER, BC – In this Exopolitics TV interview with Alfred Lambremont Webre, EUCACH.org founder and director Magnus Olsson gives an update on significant aspects of the Transhumanist Agenda, which he describes as “mind-stealers”. 10. When we eat these plants we feed ourselves with SUNLIGHT! 14. Government ofﬁcials and politicians are as vulnerableto these health threats as we ALL are! 26. 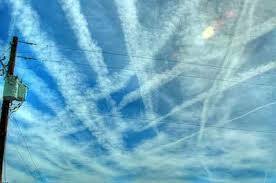 Aluminium & barium • HAARP runs on ELF (High-frequency Active Aurora Research Project) • X-band radar scans organisms for barium • the aluminium in your system turns you into an ANTENNANOW YOU ARE A PERFECT COMPONENT FOR THESE TWO SYSTEMS TO WORK AGAINST YOU! 36. MOST IMPORTANT STUDY Middelveen et al., Morgellons Disease: A Chemical and Light Microscopic Study, J Clin Exp Dermatol Res 2012, 3:1 Morgellons Disease: A Chemical and Light Microscopic StudyMarianne J. Middelveen¹, Elizabeth H. Rasmussen², Douglas G. Kahn³ and Raphael B. Stricker¹* ¹ International Lyme and Associated Diseases Society, Bethesda, MD² College of Health Sciences, University of Wyoming, Laramie, WY³ Department of Pathology, Olive View ­ UCLA Medical Center, Sylmar, California Abstract Morgellons disease is an emerging multisystem illness characterized by unexplained dermopathy and unusual skin-associated filament production We present relevant clinical observations combined with chemicaland light microscopic studies of material collected from threepatients with Morgellons disease. 40. was still visible at this timepoint. In contrast, patient filaments began to fray at 1 minute in 10% sodium hydroxide but were still visible after 120 minutes, similar to normal hair. The hair and patient filaments were more resistant to 10% potassium hydroxide, with visible fraying beginning at 10 minutes and fibers still visible at 120 minutes. Although the larger BDD fibers appeared to be more resistant to the chemicals, fraying and shape change similar to the human samples was evident at )"*+,-( .0! "#$! %&$! ()#! *#+,! #/#$$#$! -&! ,.-&! 1+2/! 3%,#! 4! 56778! with each caustic agent. 120 minutes /%9&-*:%;-2&<= Keratin immunostaining The results of keratin immunostaining experiments are shown)"*+,-( ./! "#$! %&$! ()#! *#+,! -&! ,.-&! ,%/0(#,! 1+2/! 3%,#! 4! 56778! in Figure 6. The MD)"*+,-( .1(from Case 1 stained#$8.,%( 7"--/$( T8A. ( filaments R"S$8-( G$$78,7"B( strongly with the E,-$( =( <?>>J(/%9&-*:%;-2&<=! /%9&-*:%;-2&<= “pankeratin” antibody AE1/AE3 directed against cytokeratin 1/3. In contrast, the filaments stained weakly with the more restrictive antibody AE5/AE6 directed against cytokeratin 5/6. Staining with AE1/ AE3 was seen over the length of the fiber, while staining with AE5/ )"*+,-(.!!>-#+,!;%&9(#$!%+2)&$!%!?%-+!5(%+9#+!(%:.!,?%1;!;2!+-9?;!21!*9)+#<! -&!3%,#!4!56778!/%9&-*:%;-2&<=! larger) were similar in appearance compared to the specimens observed)"*+,-( .0! "#$! %&$! ()#! *#+,! #/#$$#$! -&! ,.-&! 1+2/! 3%,#! 4! 56778! )"*+,-( 2/( 1,"8( TA%%"9%$( T8A. ( E,-$( K( -3AU"B( 7UA( 3,"8-( S8,93"B( T8A. ( ,(/%9&-*:%;-2&<= in Case 1 (Figure 5A, Figure 5B). Filaments were macroscopic, opaque ,-&9(#!-&&#+!+22;!,?#%;? !56778!/%9&-*:%;-2&<= and dirty white in color, ranging in size from less than 0.5 mm in diameter to about 1 mm in diameter. In cross section filaments appeared to originate beneath the stratum corneum (Figure 5C). R"S$8-( )"*+,-( .1( G$$78,7"B( #$8.,%( 7"--/$( T8A. ( E,-$( =( <?>>J( Longer filaments were close to 1 mm in length. The BDD/%9&-*:%;-2&<= filaments demonstrated fluorescence under UV light (Figure 5D). Chemical Experiments Samples of normal hair, colored filaments and dermal material from Cases 1 and 2, and BDD fibers were subjected to immersion in caustic agents. Duplicate experiments with each caustic agent were performed on each sample. Results of the experiments are shown in (Table 1) Normal hair and patient filaments began to fray after incubation for)"*+,-(.!!>-#+,!;%&9(#$!%+2)&$!%!?%-+!5(%+9#+!(%:.!,?%1;!;2!+-9?;!21!*9)+#<! disintegrated after 1 minute, and the patient filaments had completely )"*+,-(20!@%-+!12((-:(#!1+2/!3%,#!A!,?2B-&9!*(%/#&;,!,;#//-&9!1+2/!)(! 42. Whatever we want to call these toxic trails,THEY SHOULD NOT BE THERE What happened to INFORMED CONSENT? 44. Politicians have you ever considered what these clandestine toxic sprayingsare doing to nature, humanity, ﬂora and fauna? And if you already did realize, ― or are overstanding just now ― what will you do to STOP this willful demise of our planet? 48. What are local, national and EU politicians DOING to clandestine AERIAL SPRAYINGS?